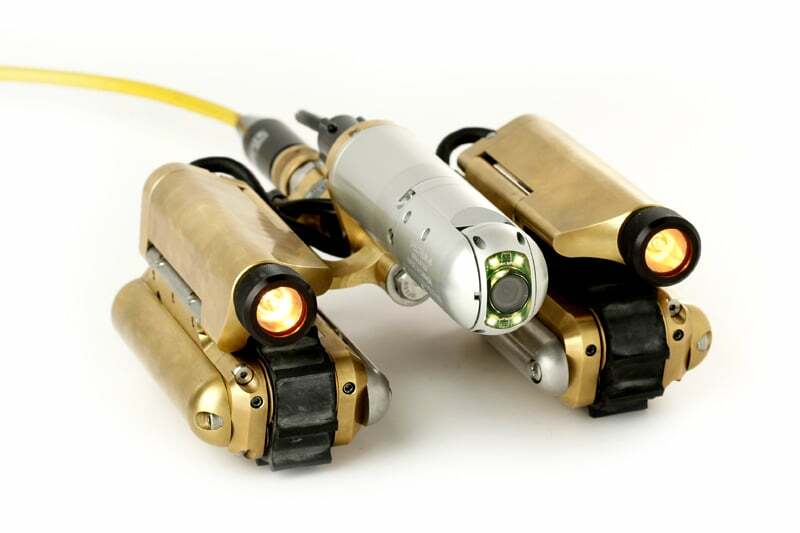 The Versatrax 100 is a miniature crawler system capable of inspecting pipe and ducts as small as 4in / 10cm in diameter. 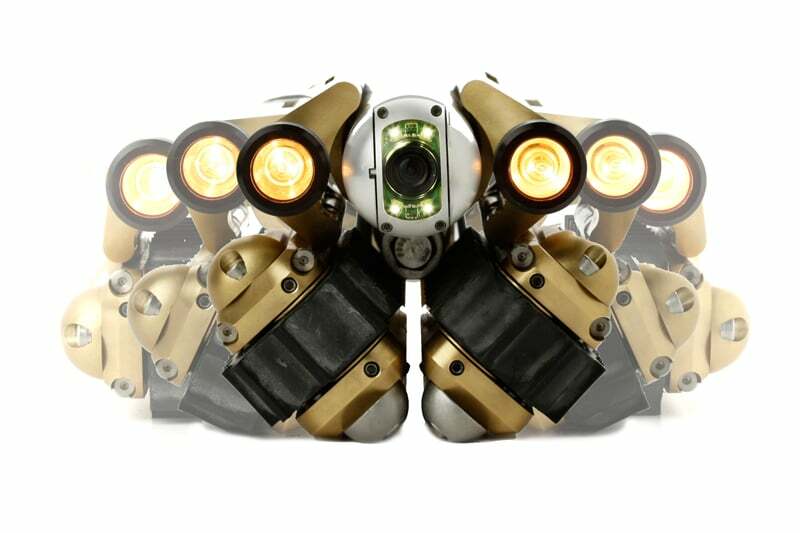 Just like the Versatrax 150, this crawler offers an in-line and parallel configuration for different pipe sizes. The Versatrax 100 is extremely portable – the entire system fits into two Pelican cases (including the tether cable and hand reel). Despite its compact size, this system has the power to penetrate up to 600ft / 180m of pipe and overcome obstacles and offset joints. All Versatrax units are easily configurable for round pipe or flat surface operation. The vehicles are adjustable for a range of pipe diameters. 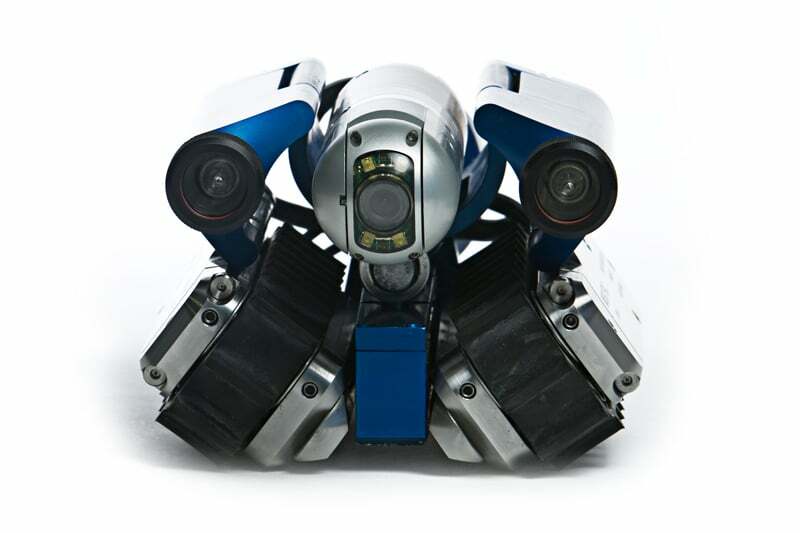 Contact us to find out more about the Versatrax 100 or any of our other robotic crawlers and tractors, or click to view our full pipe inspection camera range. 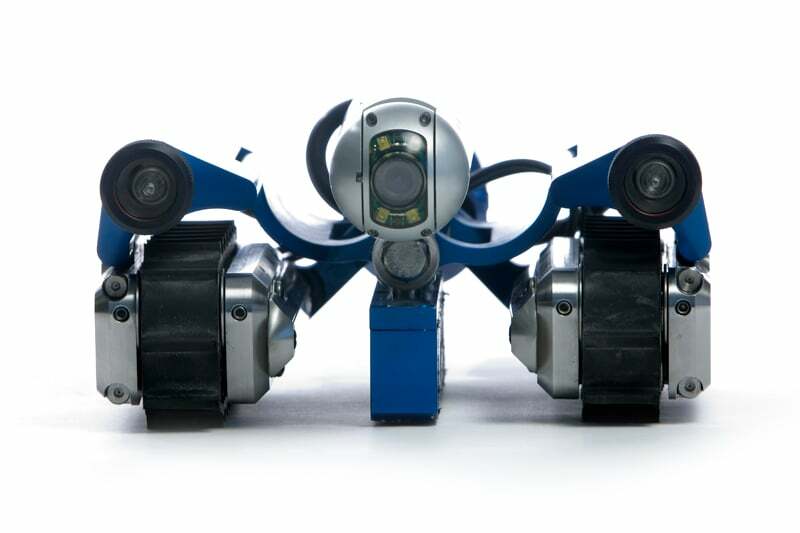 The Versatrax Vertical Crawler from Inuktun offers an extremely versatile and durable pipe inspection camera solution for inspecting pipes of varying diameters in just about any orientation. 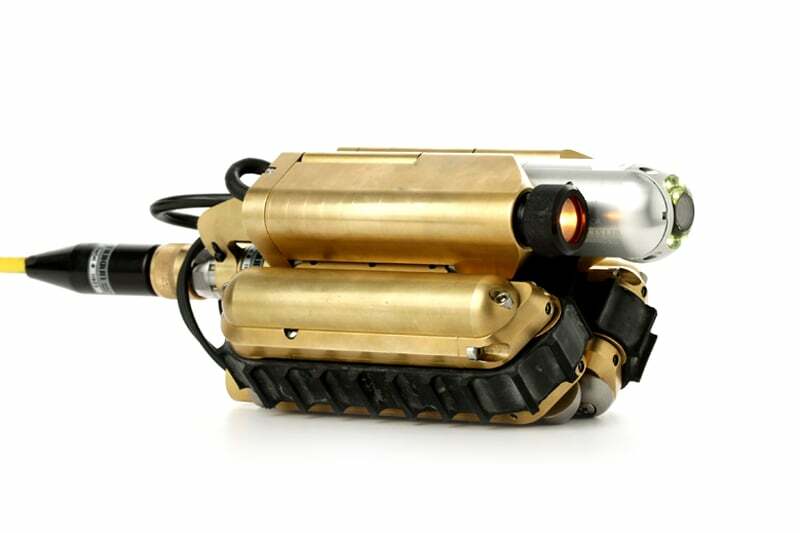 The MicroMag UT Probe and Wire brush is a high-performance easy-to-use accessory for the standard MicroMag crawler for underwater use.